Thanks go to Val on Plot 23 for this story. 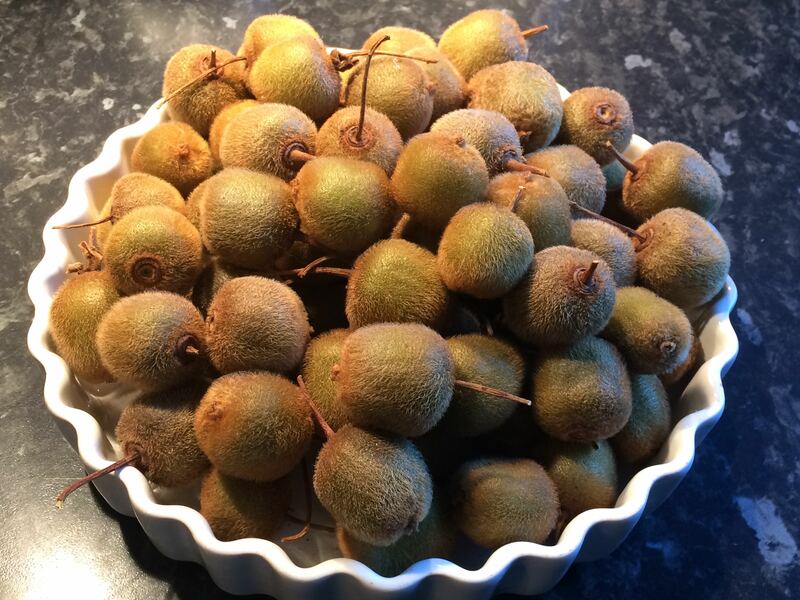 This is Val’s recent harvest of Kiwi Fruits grown on her plot outside against her south-facing wall. She says the fruits are small but perfectly formed and have made a delicious jam rich in and vitamin C.
And there was me thinking I had done quite well with my Blueberries! I am not sure what this tells us. Are Kiwi Fruits hardier than we might have imagined? Is this more evidence that our local climate is indeed changing? Maybe, of course, it’s just a matter of excellent gardening! In any case, congratulations go to Val for a stunning result. 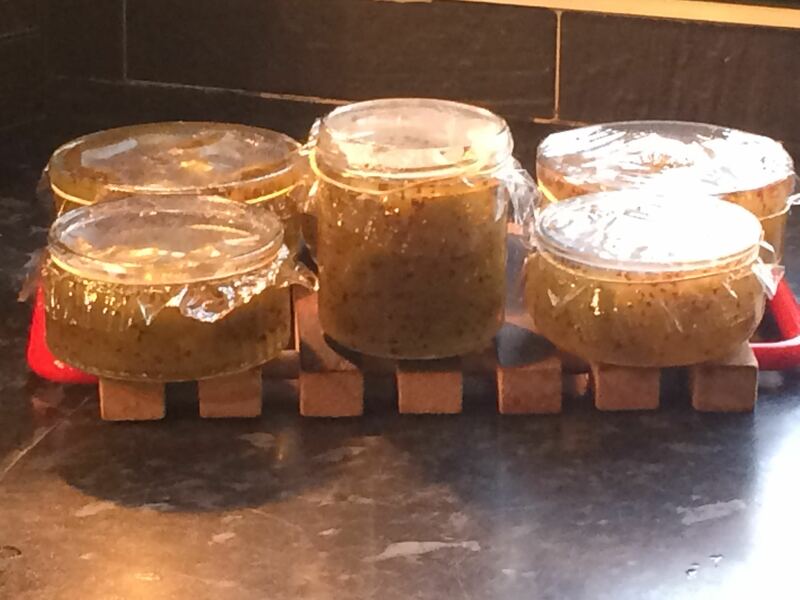 Has anyone else something a bit exotic to share? 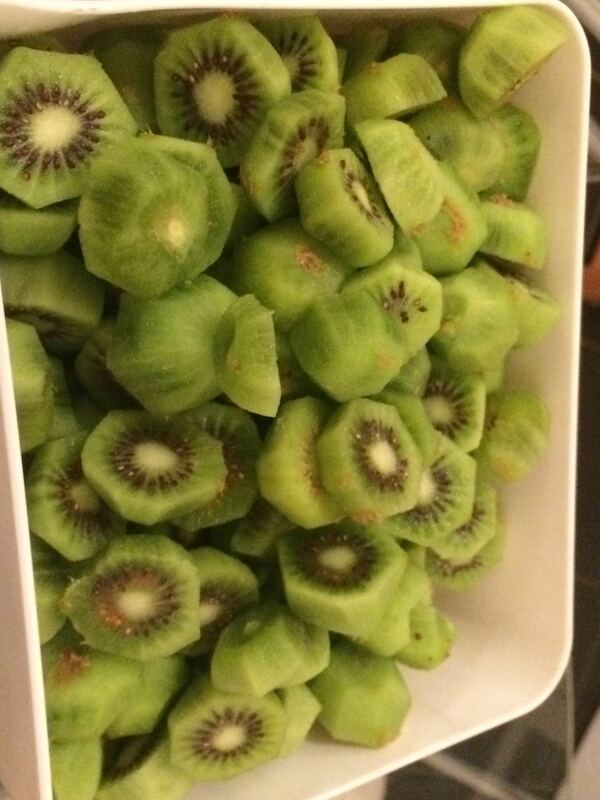 Well done Val on the kiwi fruits, they are superb and I knew you would do it!! Fantastic! !